(NJ/VGD) (Kansas City) 1994 - 2002. Photos. Framable Color Prints and Posters. Digital Sharp Images. Aviation Gifts. Slide Shows. 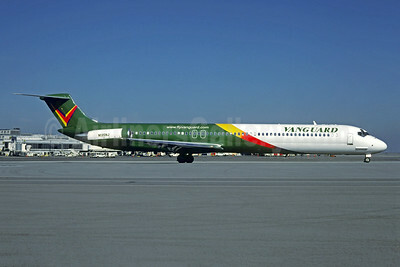 Vanguard Airlines Boeing 737-2B7 N128NJ (msn 22892) LAX (Roy Lock). Image: 909733. 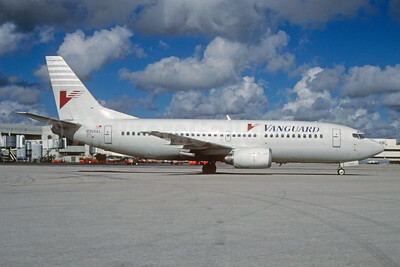 Vanguard Airlines Boeing 737-3Y0 N304AL (msn 23500) MIA (Bruce Drum). Image: 102618. 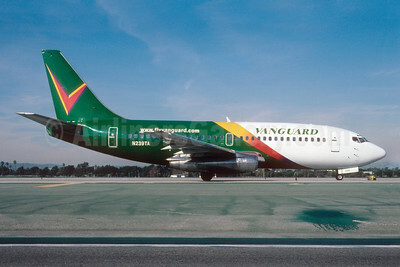 Vanguard Airlines Boeing 737-25A N239TA (msn 23789) LAX (Roy Lock). Image: 909734. 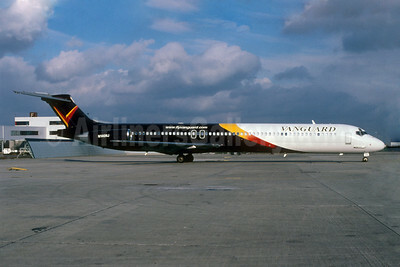 Vanguard Airlines McDonnell Douglas DC-9-81 (MD-81) N814US (msn 48094) MIA (Bruce Drum). Image: 102619. 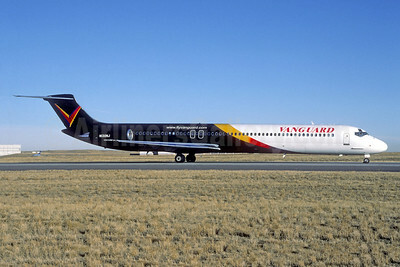 Vanguard Airlines McDonnell Douglas DC-9-82 (MD-82) N130NJ (msn 49222) (Christian Volpati Collection). Image: 942346. Vanguard Airlines McDonnell Douglas DC-9-82 (MD-82) N135NJ (msn 49440) SFO (Christian Volpati Collection). Image: 942347. 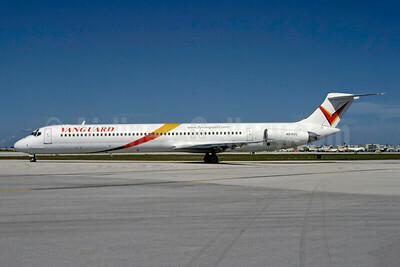 Vanguard Airlines McDonnell Douglas DC-9-82 (MD-82) N140NJ (msn 49931) FLL (Christian Volpati Collection). Image: 942348. 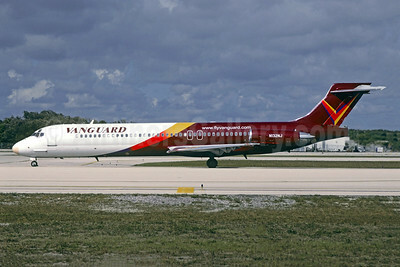 Vanguard Airlines McDonnell Douglas DC-9-82 (MD-82) N140NJ (msn 49931) YYZ (TMK Photography). Image: 909735. 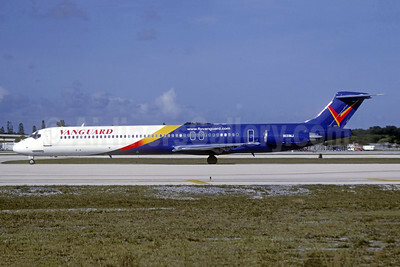 Vanguard Airlines McDonnell Douglas DC-9-83 (MD-83) N131NJ (msn 49846) FLL (Christian Volpati Collection). Image: 942344. 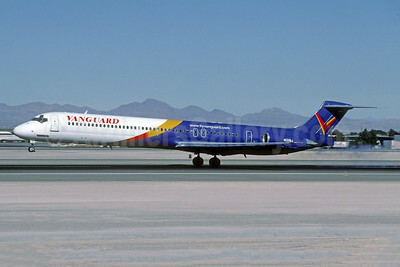 Vanguard Airlines McDonnell Douglas DC-9-83 (MD-83) N131NJ (msn 49846) LAS (Jacques Guillem Collection). Image: 942345. 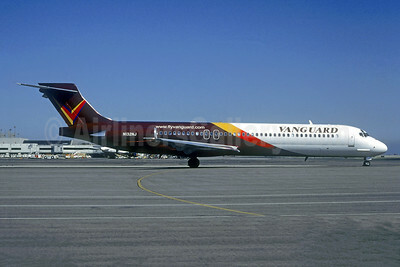 Vanguard Airlines McDonnell Douglas DC-9-83 (MD-83) N131NJ (msn 49846) LAX (Roy Lock). Image: 909736. 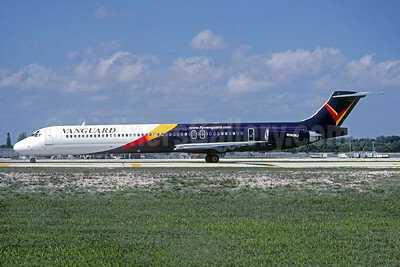 Vanguard Airlines McDonnell Douglas DC-9-87 (MD-87) N132NJ (msn 49780) FLL (Christian Volpati Collection). Image: 942350. 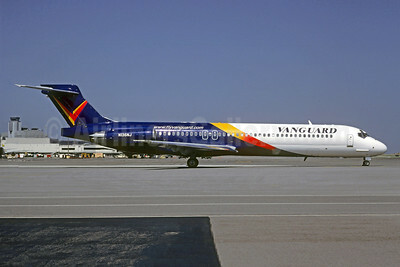 Vanguard Airlines McDonnell Douglas DC-9-87 (MD-87) N132NJ (msn 49780) LAX (Roy Lock). Image: 909737. 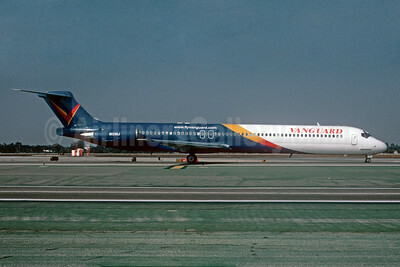 Vanguard Airlines McDonnell Douglas DC-9-87 (MD-87) N132NJ (msn 49780) SFO (Christian Volpati Collection). Image: 942349. 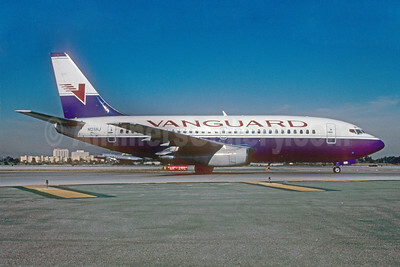 Vanguard Airlines McDonnell Douglas DC-9-87 (MD-87) N136NJ (msn 49413) SFO (Christian Volpati Collection). Image: 942351.